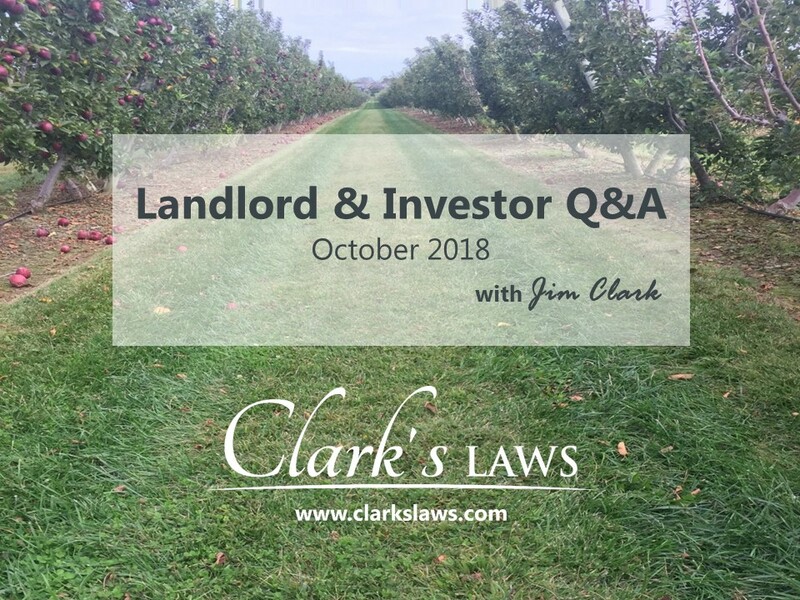 In this segment Jim Clark answers the most popular questions that come up through his interactions with landlords and real estate investors through his presentations to local organizations, networking, one on one conversations as well as direct posting through his web site and social media. What to look out for when buying a nonperforming mortgage note in New York. Negotiating with a seller who is looking to defer the tax liability on a sale. Legal issues raised by a Landlord Waiver & Consent in a commercial lease. Assigning a short sale to a buyer who is purchasing with a conventional mortgage. Joint Venture with a minimum return and the minimum return is barely met. If you’d like additional information or would like to submit a question for a future segment, contact us. Jim Clark is a New York real estate attorney who represents landlords and active real estate investors.